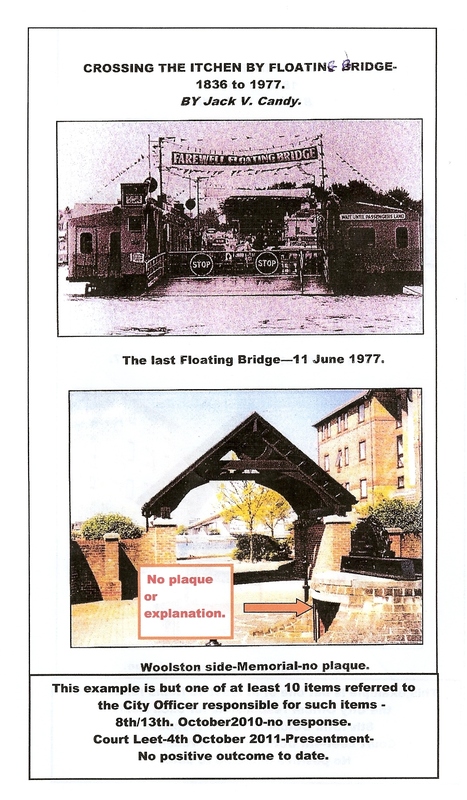 **Heritage-Floating Bridge across the R.Itchen.(103). We enjoyed the trip / from & back to Woolston. The Itchen area is now part of Southampton. Sadly, often neglected from its Heritage importance. The Itchen Bridge replaces the Floating Bridge-more relevant to the 21st Century. Yet descriptive plaques are not provided in spite of frequent suggestions.